Conceived as a personal video diary, The Infinite Happiness is an architectural experience. The film takes us to the heart of a contemporary housing development considered to be a new model of success. 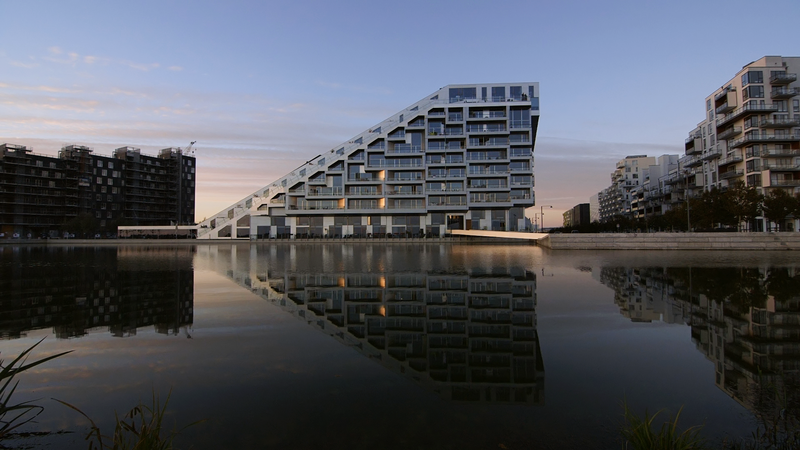 Inhabiting the giant “8 House” built by Danish Architect Bjarke Ingels in the suburb of Copenhagen, Ila Bêka and Louise Lemoine recount their subjective experience of living inside this experiment of a “vertical village” - named “Best residential building of the year” by the World Architecture Festival in 2011. The Architecture+Film series is organised by the Winnipeg Architecture Foundation in partnership with OPEN Saskatchewan and Regina Advocates for Design - RAD. Thank you to Canada Council for funding this three-city initiative.